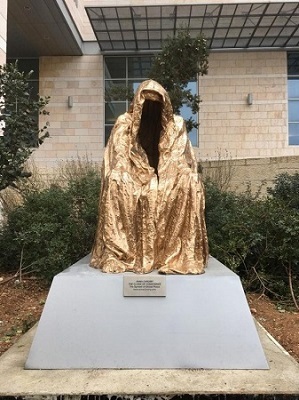 The installation at Hadassah Hospital Ein Kerem of a moving, polished gold-bronze sculpture called the Cloak of Conscience, a work by the European sculptor Anna Chromy, was the catalyst for a colloquium of Hadassah medical professionals whose subject, fittingly, was “Wrestling with My Conscience: My Hardest Medical Dilemma.” Several years ago Chromy approached Hadassah France, part of Hadassah International, about donating a sculpture to the hospital. 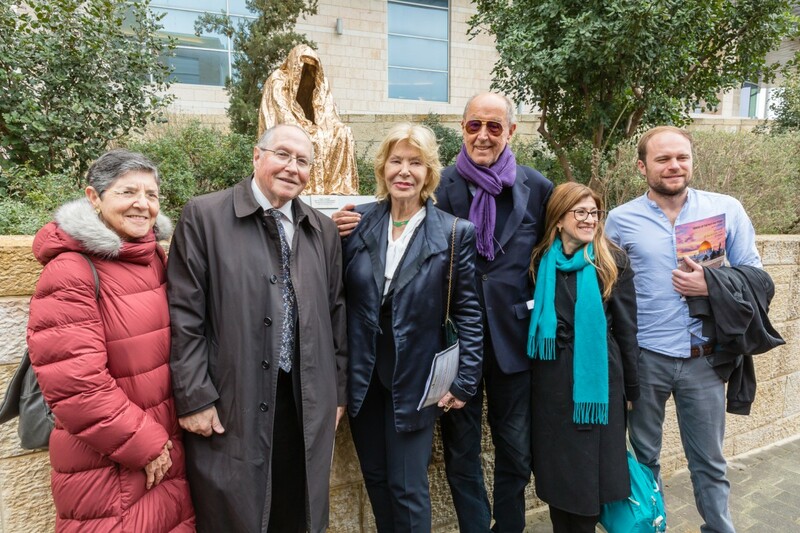 Several Hadassah France representatives, who worked with the sculptor to bring the project to fruition, attended the colloquium along with Chromy. 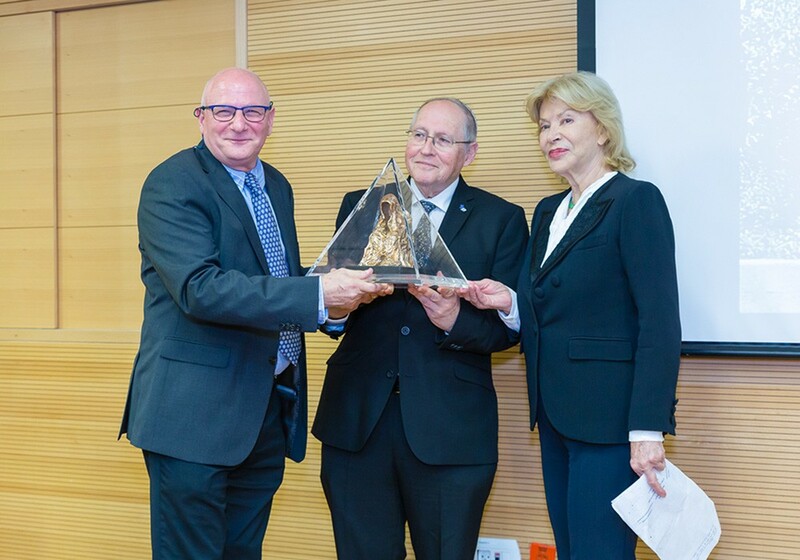 Former Supreme Court Justice Elyakim Rubinstein (center) is shown receiving the Chromy Award. 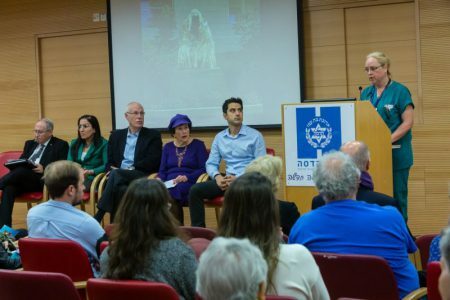 Prof. Yoram Weiss – Director Hadassah Medical Center Ein Kerem (left), artist Anna Chromy (right). Dr. Luminita Eid, a Romanian-born intensive care specialist speaking at the “Wrestling with My Conscience: My Hardest Medical Dilemma” colloquium panel.